Situated in the village of East Garston the day starts at the Queens Arms with Bacon Rolls and briefing before shooting a number of drives, with two guns per peg each taking it in turns to shoot and load. Lunch is back at the Queen Arms. Join us for a day of shooting and delicious Gurkha curry in aid of The Gurkha Welfare Trust, who look after brave veterans and widows in Nepal. Three sessions - Arrive at 8:45am, 10:15am and 11:45am for coffee and Bacon rolls. This is a great way to spend a Sunday morning and is very popular so please book early. The Cotswold and Wiltshire Ladies meet on a monthly basis at Barbury for a fun coaching session and shooting practice - and a bacon sandwich! Entry anytime between 9:00am and 12:00pm to shoot a sporting round of 100 or 50 targets and/or shoot a simulated high pheasant flush. If you would like to have a go at Clay Pigeon Shooting without the expense of having a full lesson why not come along to our “have a go” day and see if it’s a sport for you. Shoot open to everyone - Not just Wiltshire shooters! Pre booking required - BOOK NOW! The day starts at The Bell Inn in Ramsbury for a full English breakfast and briefing before shooting a number of drives, with two guns per peg each taking it in turns to shoot and load. A fun competition for all! From varying positions on the field, clay traps are placed to fire the clays. Reds, which are easiest to shoot, score 1 point, the colours, which come from increasingly difficult angles and speeds, will score progressively higher points up to Black which scores 7 points. Shoot open to everyone - not just Somerset shooters! The GNAT will be available between 4:00pm and 7:00pm The 100 sporting layout will be available all day until 7:00pm as usual. The Gnat is a high speed radio controlled drone which flies at speeds of up to 120 mph, with extremely rapid directional changes. The day starts at 10:00am with hot Bacon Rolls and finishes around 3:30pm. Shooting will be a series of flushes and flurries shot in pairs or teams of 4 or more. Entry anytime between 9:00 a.m. and 12:00 p.m. to shoot a sporting round of 50 or 100 targets and/or shoot a group flush - All targets made up of a selection of rabbit clays ! All targets made up of a selection of rabbit clays ! Squaded event with 6 per squad. 100 Target Practice layout available as usual. The GNAT will be available between 10:00am and 2:00pm The 100 sporting layout will be available all day until 3:00pm as usual. 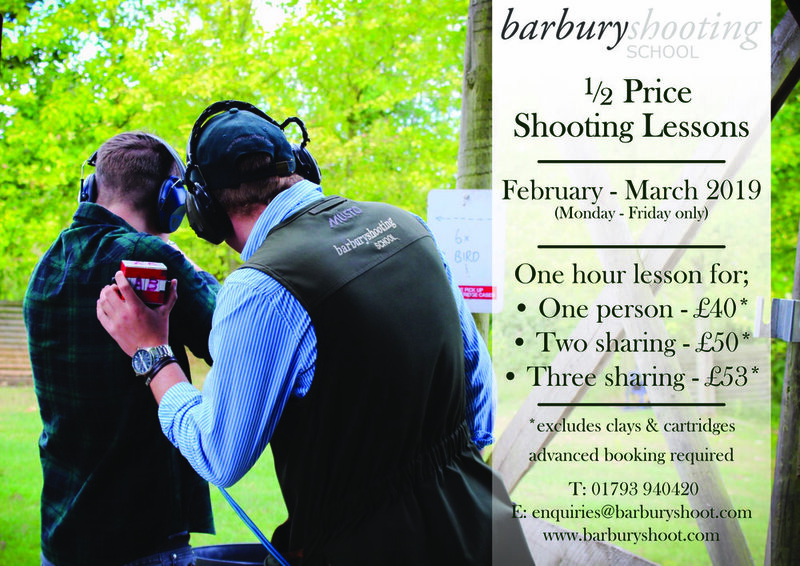 All prices are for 1 hour lessons, includes all safety equipment and use of gun if required, excludes clays and cartridges. Offer applies to all lessons booked and taken during the offer period. Entry anytime between 9:00 a.m. and 12:00p.m. Entry anytime between 9:00 a.m. and 2:00p.m. 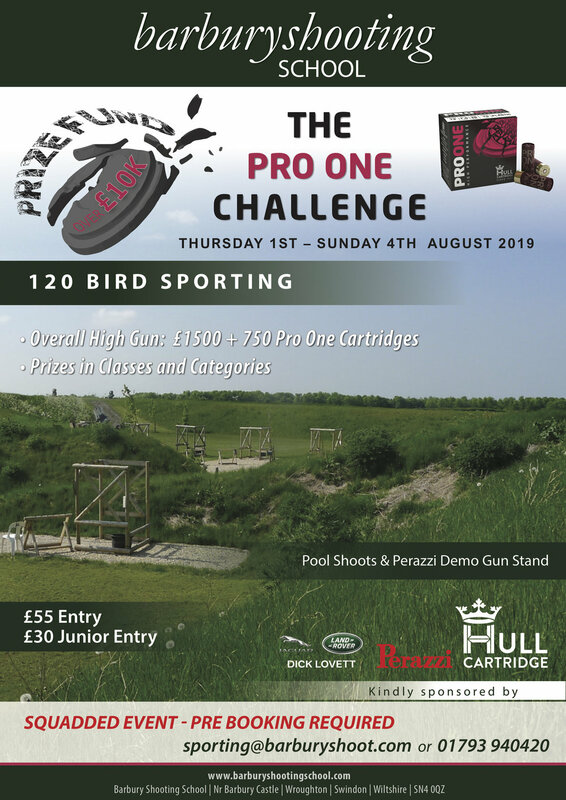 20 stands will be open – so plenty for everyone to shoot! A VERY MERRY CHRISTMAS TO ALL OUR CLIENTS.